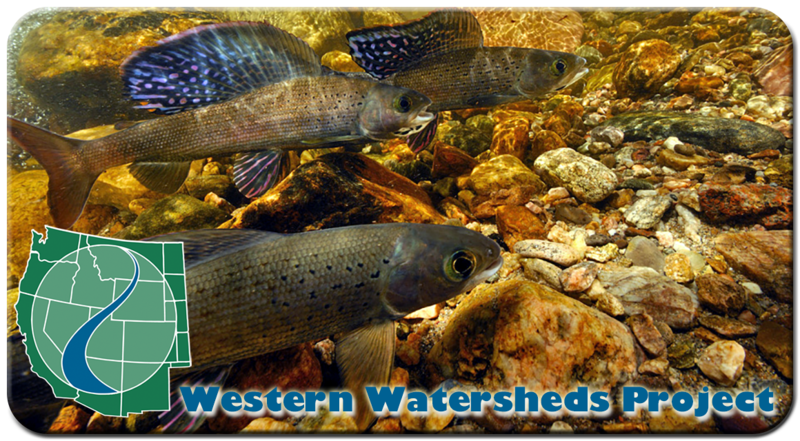 Home » News » A Win for Montana Grayling! The Ninth Circuit Court of Appeals ruled today that the U.S. Fish and Wildlife Service unlawfully denied Endangered Species Act protection for the Montana grayling, and ordered the agency to reconsider protecting the rare fish. The court found that the agency had failed to consider the impacts of climate change and evidence that populations in the Big Hole River were declining. This was a long and hard fought win for our group, starting in 2003 when WWP and Center for Biological Diversity challenged a “Warranted but precluded” finding from 1994 and resulting in multiple new deadlines, settlements, and unlawful findings until the 2014 U.S. Fish and Wildlife decision that was ultimately overturned in today’s ruling. The agency has now been ordered to redo its decision and consider the threats posed by climate change to this cold water species. Once found throughout the upper Missouri River drainage above Great Falls, native populations of Montana grayling have been reduced to a short stretch of the Big Hole River and a few small lakes in the area. There is also a small population that was reintroduced in the Ruby River. Western Watersheds Project is keenly interested in the threats of livestock grazing to the habitat of the fish as well; water withdrawals for grazing operations and channel modification through livestock trampling also harm the species. Plaintiffs Western Watersheds Project, Center for Biological Diversity, Butte resident Pat Munday, and WWP Board President George Wuerthner were represented in the case by Jenny Harbine of Earthjustice in Bozeman.